Undeniably one of the most esteemed skills in the world of self reliance is the ability to make and use a Bow and Arrow. Making a bow that can propel a sharp object used to be a springboard in one's ability to provide and protect themselves. It's a bridge from merely surviving to thriving. The ability to successfully produce a bow is one more building block in the creation of a self sufficient and confident individual. Throughout the Primitive Bow Making week, students will spend their day carving, rasping, and sanding their bows from raw staves of material wild crafted from the local landscape. *Note: Every student will go home with the skills to build a usable bow. Not every participant, however, will go home with a bow. Dependent on whether the student works hard, effectively, and whether the bow brakes or not (every bow breaks eventually)will determine if the student brings home a usable bow or not. Learn how to inspect bow staves and select one to begin your bow making process. Learn and practice primitive wood working techniques such as batoning, carving, rasping and sanding with hand tools and primitive stone tools. Utilize these techniques to shape your stave into a usable bow. Check curve of your bow's limbs for consistency. 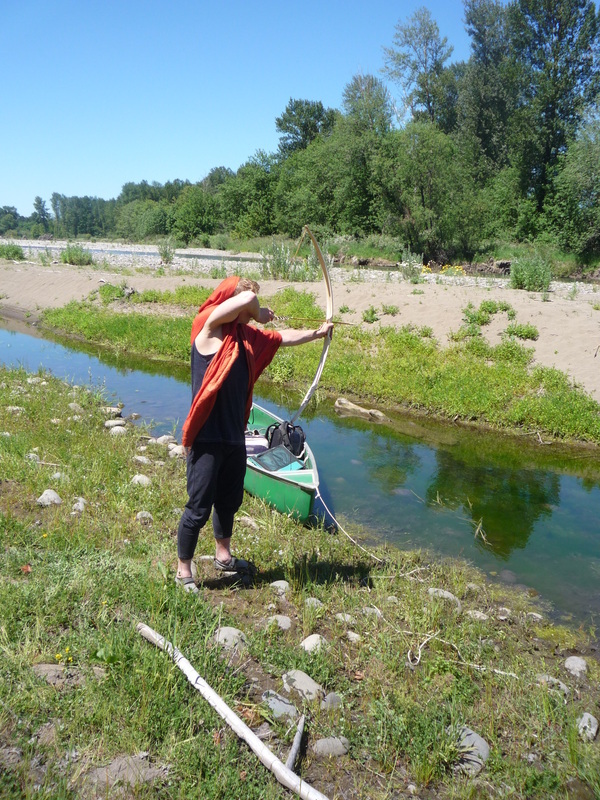 Develop your archery skills with primitive and modern bows. If patient, diligent, and lucky, shoot your own bow.